My kids play and run around in our backyard for a couple hours each day. They play in the dirt and mud, use they imaginations, and run off all their energy. 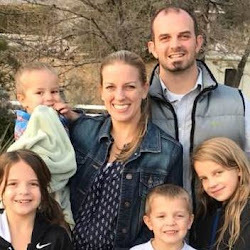 After having such nice weather this winter, my kids are totally used to having plenty of time to run off they energy each day, and so when we have cold, windy days, it's hard on them to expend their energy. So, on those days, we have to find as many fun, indoor, gross motor activities for them as possible. 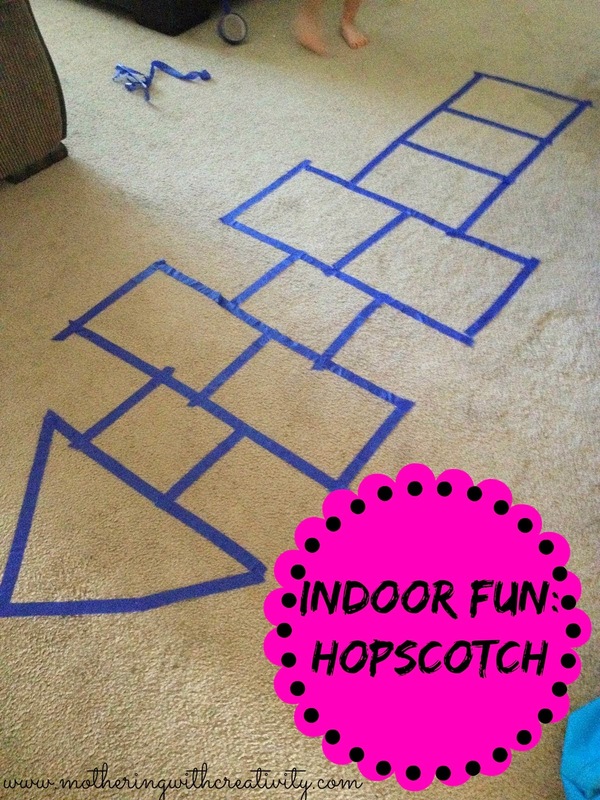 One of their favorites is a simple game of hopscotch! We use good old painters tape to create the grid on the floor, as it comes up off of the carpet nicely. Sometimes I make the grid, and sometimes they used their imagination to create their own grid for hopscotch. Either way, it's a fun, frugal, and easy way to burn off some energy when stuck inside.